This competition is now closed. Winner was Paul Murphy from Dublin. Congratulations, Paul! 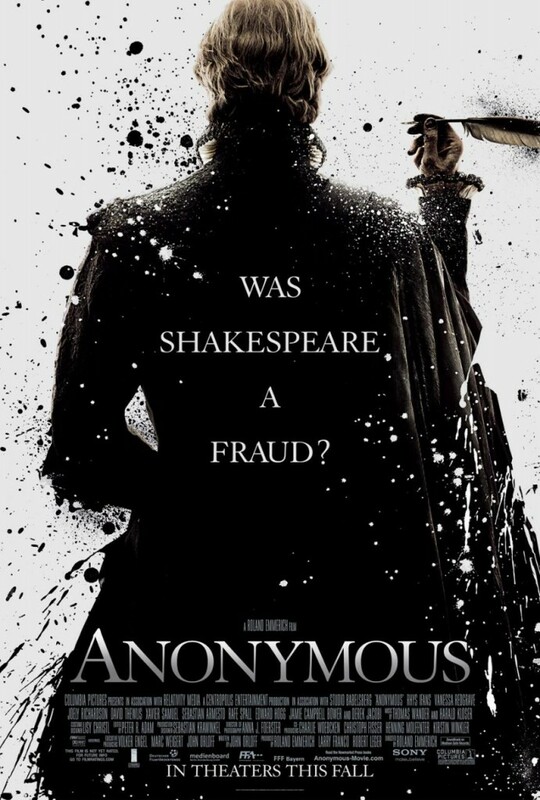 Set in the political snake-pit of Elizabethan England, Anonymous speculates on an issue that has for centuries intrigued academics and brilliant minds such as Mark Twain, Charles Dickens, and Sigmund Freud, namely: who actually created the body of work credited to William Shakespeare? Experts have debated, books have been written, and scholars have devoted their lives to protecting or debunking theories surrounding the authorship of the most renowned works in English literature. Anonymous poses one possible answer, focusing on a time when scandalous political intrigue, illicit romances in the Royal Court, and the schemes of greedy nobles lusting for the power of the throne were brought to light in the most unlikely of places: the London stage. To celebrate the release of Anonymous into theatres this Friday, we have a copy of the coffee table book that accompanies the film to give away all thanks to lovely folk at Sony Pictures Ireland. It features an introduction by director Roland Emmerich and is chock-full of images and stills from the film. It really is pretty awesome and I want to keep it myself, but I have to part with it and it’s going to one of you lucky readers. If you’re on Twitter click here to Tweet this competition and you’re entered. And if you’re on Facebook click here and share the update and you’re entered. – To enter you must Tweet/Share the above link. Any other link share/tweet will not be accepted as an entry as we can’t keep track of them and anything we don’t see can’t be counted. – The winners will be drawn at random from all entries, and only they will be contacted personally. Prize must be taken as stated and cannot be deferred. There will be no cash alternatives. – Unless otherwise stated, the Competition is open to all Irish residents of 18 years and over, except employees of: (a) Pop Culture Monster; and (b) any third party appointed by Pop Culture Monster to organise and/or manage the Competition; and (c) the Competition sponsor(s). – Pop Culture Monster’s decision is final in every situation and no correspondence will be entered into. Pop Culture Monster reserves the right to cancel the competition at any stage, if deemed necessary in its opinion, and if circumstances arise outside of its control.